Images of a solidarity action in front of the Russian consulate in Sydney, Australia. 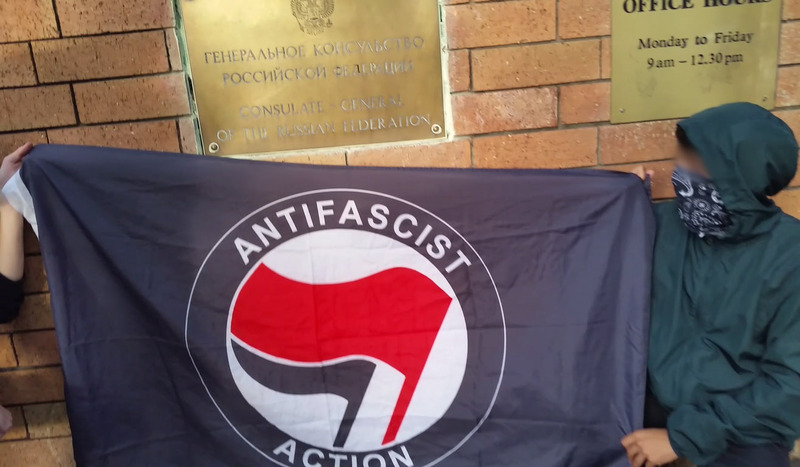 In response to a solidarity appeal from comrades in Russia, on the 18th of March, the day of the Russian elections, a group of anarchists in Sydney, gathered at the Russian consulate. We distributed leaflets about the situation of imprisoned Russian anarchists and antifascists and chanted soligans against police, prisons and the Putin regime.